Following on from our very successful energy management project, training for Quarry Operatives and Plant Operators in 2015, we embarked on Safe and Fuel Efficient Driver Training for all HGV drivers. We held a half day seminar with all the drivers and then conducted in-cab one-to-one on the job assessment and training. Feedback was very positive from the training providers and employees, and a high level of buy in was reported. This was further demonstrated in an average improvement of 7% in Miles per Gallon recorded per driver following the training. 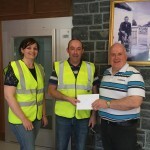 Two Drivers, James Burke and Eugene O’Kelly achieved distinction in the training assessments and were rewarded for their efforts with a €50 fuel voucher. 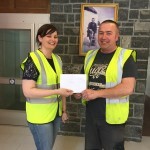 To keep the momentum going and build on the improvements made the company have decided to develop a league table of driver’s MPG and reward the biggest improvements every second month with a fuel voucher worth €100.